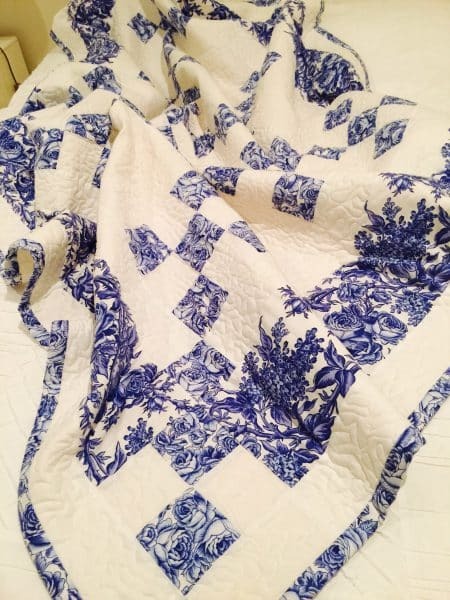 Delft Blue Chaining Nine Patch. Hello Everyone. 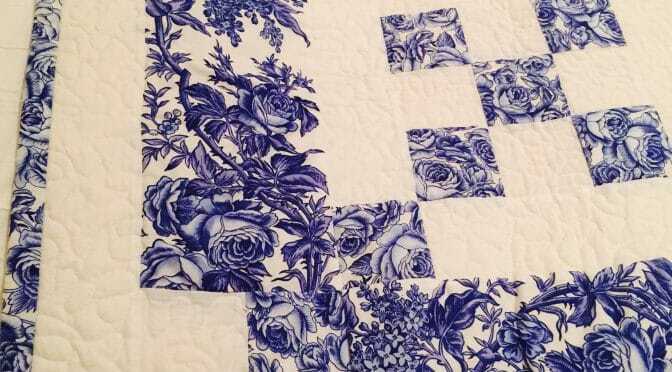 Today I’m sharing with you a blue and white quilt. 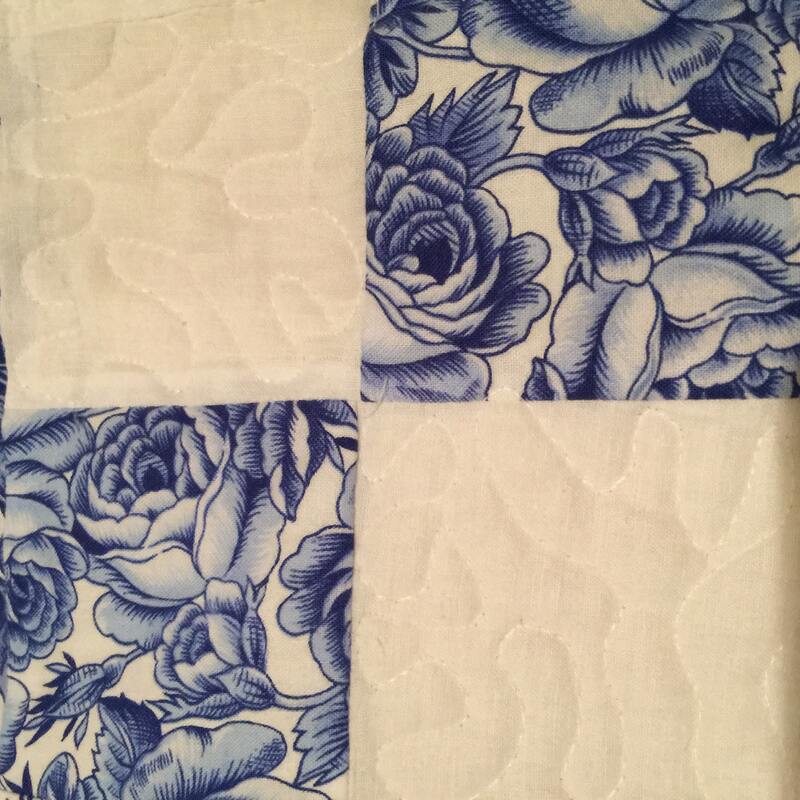 This is a simple example of a two colour quilt. I bought a beautiful feature Delft blue and white rose print and border print some time ago. Something about blue and white is so traditional and a reminder of beautiful China and porcelain. Delft blue, cobalt blue and white designs are traditional and popular designs. which have been present for many centuries. I decided to just enjoy this beautiful fabric in a simplistic form. 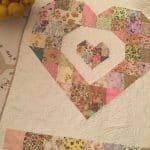 This is an easy quilt design suitable for a beginner too. There are always blue on white designs available! 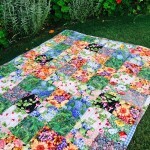 If you would like to make this quilt here is the pattern. 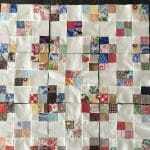 Finished quilt size approximately 69″ x 69″. Block size 9 1/2″. Finished block size 9″. 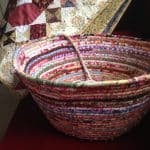 Fabrics are all cotton and based on 42″ Width Of Fabric ( WOF) All fabrics have been washed and gently pressed before use. Seam allowances are based on 1/4 inch. Please read all instructions before commencing. 1.5 metres / yards of Delft blue and white feature border fabric. 2.75 metres / yards of white homespun. 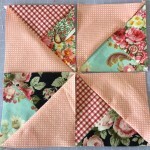 From the white homespun cut 12 x 9 1/2″ blocks for the setting blocks, and 18 x 3 1/2″ strips for the nine patch blocks and the first and third borders. 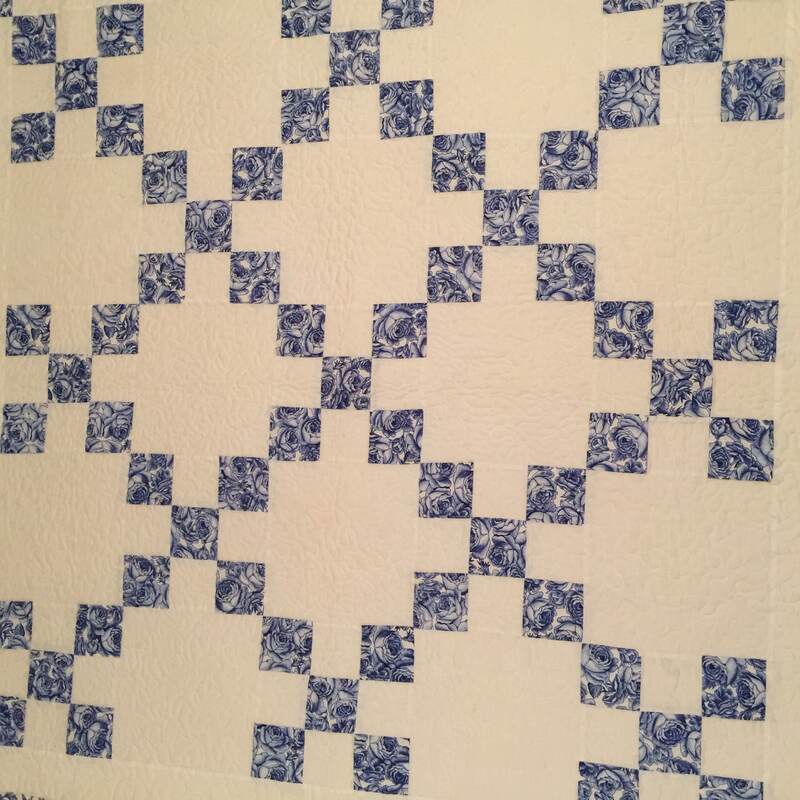 From the Delft blue print cut 7 x 3 1/2″ strips for the nine patch blocks and 7 x 2 1/2″ strips for the binding. 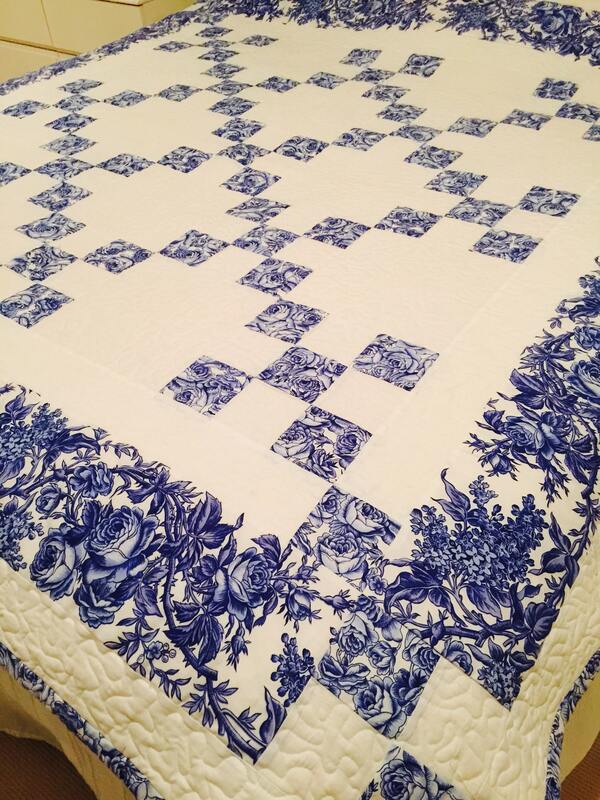 From the Delft blue feature border print cut 4 x 6 1/2″ strips lengthwise from the fabric for the second border. 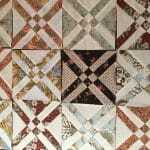 This quilt can be made with the strip piecing method. NB. Keep the remnants from the nine patch blocks to use in the borders! 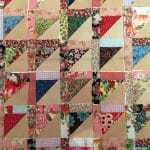 Lay out the 13 x Nine Patch blocks alternating with the 12 x 9 1/2″ white homespun squares, beginning and ending with a nine patch block. Sew the blocks together then press. First border. Measure the quilt. 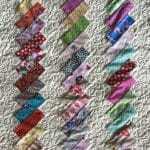 Using the 3 1/2″ White homespun strips, join together and add a border to two opposite sides of the quilt. 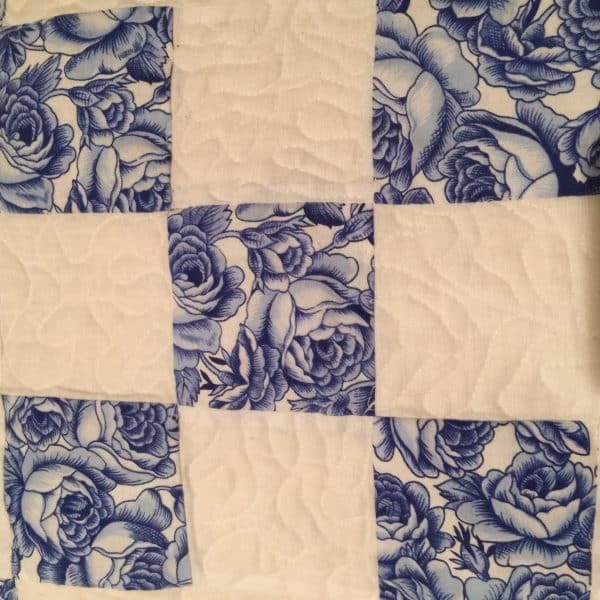 Use 4 of the remaining 3 1/2″ Delft blue squares to make cornerstones when adding the borders to the two remaining sides of the quilt. Second Border. Make 4 x four patch units using the 3 1/2″ Delft blue and white. Press the units. Measure the quilt. 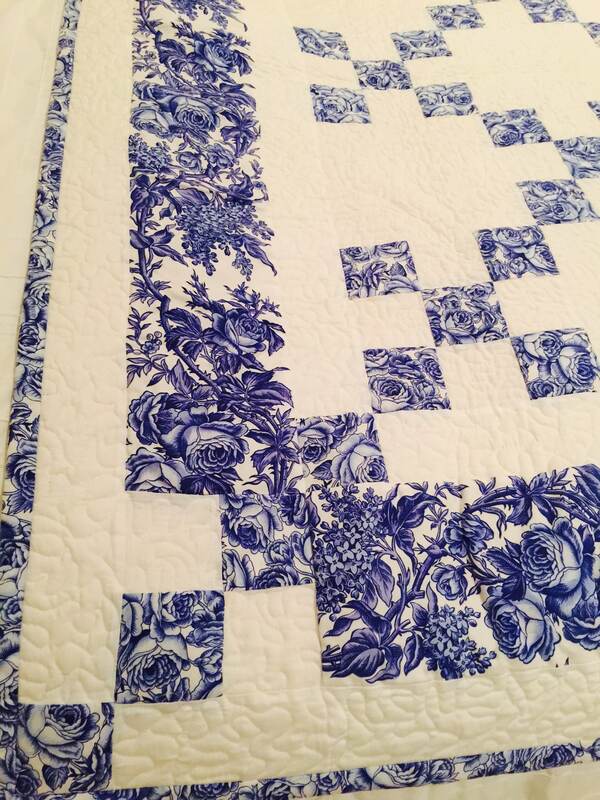 Add the 6 1/2″ Delft blue border focus strips incorporating the 4 x four patch units as the cornerstones for this border. Ensure the cornerstones have the blue squares running towards the corners. Third Border. Measure the quilt once again and repeat as for First Border. 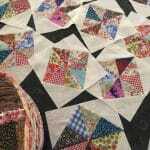 Once the third border is completed, the quilt is ready for sandwiching and quilting. I stipple quilted all the white areas of the quilt and left the blue areas plain. 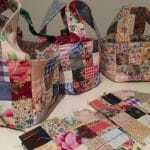 Use the 2 1/2″ strips to make the matching binding strips.